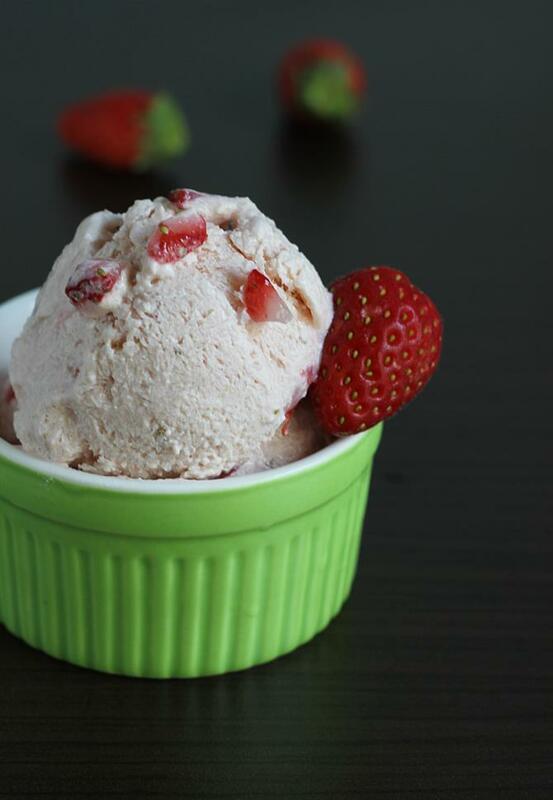 Vegan strawberry ice cream made with almonds, bananas & strawberries. 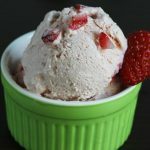 This strawberry almond ice cream is one of the healthiest and delicious you can make all without a ice cream machine. This is one of the favorites summer dessert with my kids. The combo of strawberries, bananas and almonds is super delicious in any ice creams or smoothies. This recipe uses no milk and almonds and bananas give the ice cream that luscious, rich & creamy texture. This ice cream also goes very well to make ice cream cakes, sundaes or just serve them with waffles. If you have young kids, then just pour the mixture in the Popsicle moulds and freeze. You can also set this in a ice cream tray and slice to ice cream fudge. It is so much fun to make this vegan ice cream, if you have kids get them to make this on their own. For best results soak almonds or cashews for at least 4 hours. This helps to blend the nuts really smooth and creamy. This recipe needs no ice cream churner and all you need is a high speed powerful blender to get a smooth and creamy ice cream. I have used my morris blender which fairly does the job. There is no sugar or sweetener used to make this vegan ice cream. Just choose sweet ripe bananas which lend a natural sweetness to the ice cream. The ice cream is best served immediately after it is set. As there are no fats used ice crystals may form eventually. You will need to blend the ice cream mixture really smooth to get that smooth texture. Bananas not only lend sweetness but also lightens the mixture. So blend well until you get a thick creamy texture. 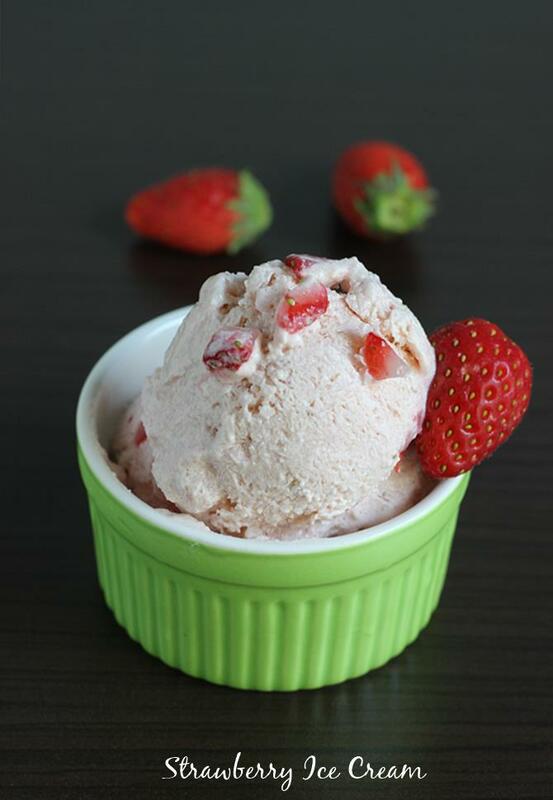 You can also check this strawberry ice cream made with dairy. Fresh or frozen strawberries can be used in this recipe. Quick vegan ice cream with no added sugar. Almonds and bananas add natural sweetness to the ice cream. Soak almonds for about 4 hours, peel off the skin. Peel banana, slice and toss them in one tsp lemon juice. Freeze banana for 2 hours and strawberries for 30 minutes. 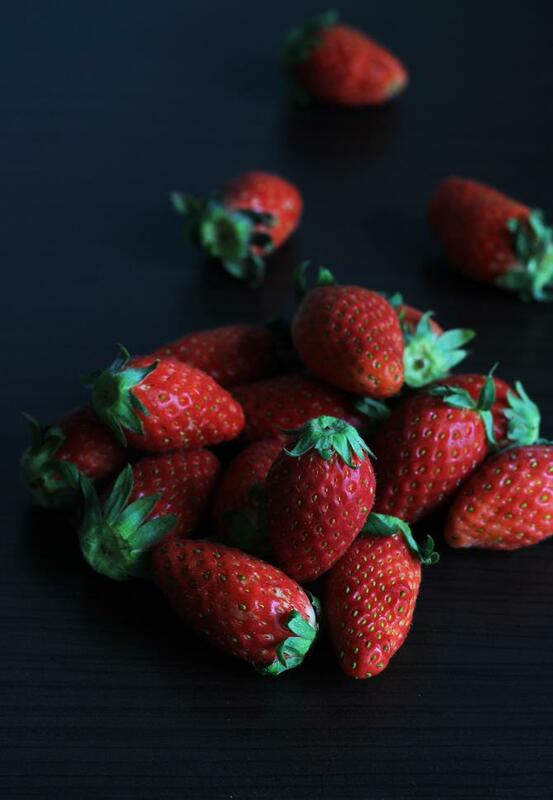 Process almonds and strawberries to smooth puree in a food processor or blender. Make sure the mixture is really smooth and you may also pass it through a sieve as I did. Add bananas and process until the mixture looks fluffy and creamy. Pour it to a container and freeze it for just 2 to 3 hours or until set. Serve immediately. Over freezing may form ice crystals since there are no added fats in the recipe, so serve it when it is just set. Lemon juice is used to prevent banana from discoloring. If discolored the ice cream may get a different color. Good recipe, healthy too. My toddler loved it. Color depends on the strawberries used. If strawberries are deep in color then you may get more on the pink side. As i mentioned in the recipe, it must be served as soon as it is set otherwise the ice crystals will form reducing the smoothness of the ice cream. If you have not processed it till very smooth then also the ice cream will not be smooth. Hope this helps.